Energy consumption is one of the things homeowners can control and regulate to reduce expenses. With most of the homes in Concord, California and other nearby communities connected to a local utility grid, it is important for people to consider looking into cheaper alternatives. With a decade of experience in providing quality energy solutions, Green Air offers the perfect alternative in the form of an Off-Grid Solar Power System. Being “off-grid,” this particular system can generate and store power even in the remotest of areas and without connecting to a grid. Independence. As mentioned earlier, you will become independent of the local utility grid once you opt for an off-grid solar power system. This also means freeing yourself from power outages that on-grid users may experience during severe storms or other forms of natural disasters. Flexibility. If you feel that your house is already cramped, installing an off-grid solar power system will not give you that many problems in terms of space. It can easily be installed, and can be set up practically anywhere, as long as the area is reached by the sun. Reduced carbon footprint. By using stored energy that comes from solar power, you are proactively reducing your home’s carbon footprint. The more energy you use coming from the sun, the better it will be for the environment. Let’s Get You Off the Grid Today. Contact Us. With our vast experience — coupled with our skilled and highly-trained personnel — we can get your home up and running on an off-grid solar power system in no time. 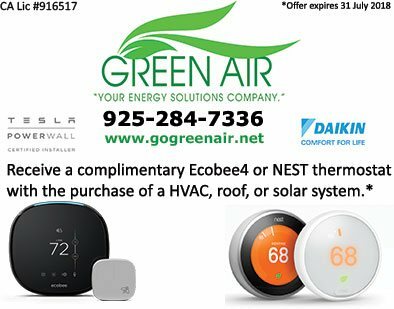 Call us today at (925) 62-SOLAR or (925) 28-GREEN to schedule an appointment or fill out our online contact form to enjoy a free, no-strings-attached estimate. The time to make that decision that leads to savings, energy efficiency, and a much more environment-friendly way of life is now!